His attire is simple and uncomplicated. Stormy blue eyes rest behind tortoise-rimmed spectacles. Disheveled strands of hair manage to find refuge under a black skull cap, tilting down toward scuffed brown loafers. A denim shirt attempts to hide under a frayed gray cardigan. His stride is heavy, but intentional. You may be tempted to give him the once over and move on, but don’t. Brandon Kinder is no wallflower. Like many of us trudging through the day, he’ll be the first to tell you that he’s just trying to get by. Kinder is lead vocals and front-man for local band, The Rocketboys. I’m a late bloomer, so it wasn’t until strolling around Armadillo Christmas Bazaar that I was introduced to this beloved Austin entourage. As my husband and I perused the market, a voice sliced through the air and through me. We weaved through crowds of shoppers in search of its source. Drawing closer to the stage, the smooth tone was eerily familiar and comforting. Inhaling the melody, I scribbled the band’s name on an old receipt. 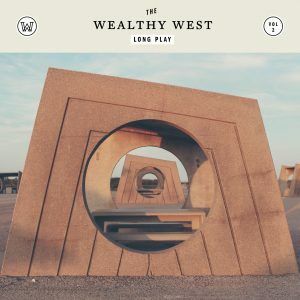 A few weeks later, my editor asked if I’d like to interview Kinder, who was releasing a solo album called “Long Play,” under the moniker, The Wealthy West. After receiving a copy of the album, I wanted to follow that voice once again. “Long Play” channels Richard Linklater films. 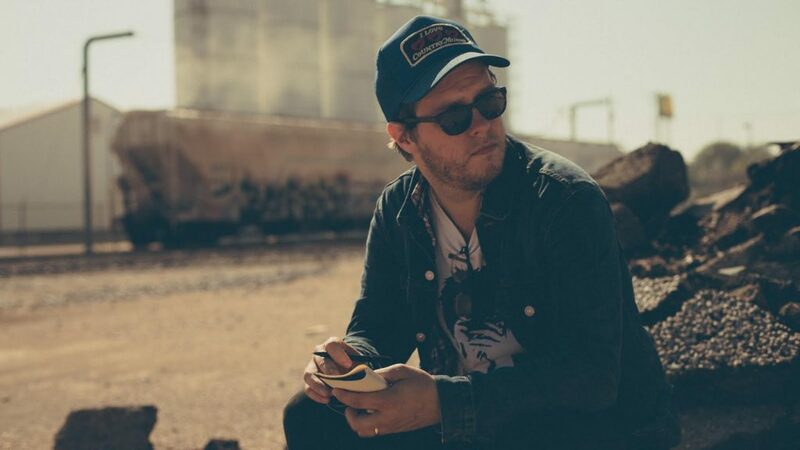 The album’s appeal is Kinder’s mastery of lyrics, springing from his vulnerability and humility. He eloquently drifts through a sea of emotions that many of us experience, yet lack the ability to articulate. This album is a journey. Kinder has graciously extended his hand to invite strangers and loved ones aboard. For those of us who hesitate to accept out of fear or doubt of the unknown, the fog recedes as we notice our companions on this musical odyssey: compassion, timidness, love, longing, memories, wonder and curiosity. Kinder’s voice cracks with beauty and naivety in the opening of “The Highest Tide.” The rendering is enhanced by shadowing vocals from Valentina Mitzkat. As Kinder and Mitzkat’s harmonies merge, sentiments of angst, yearning, fear, desperation and hope are left in their wake. Kinder is a sage, realigning an interior compass while navigating the perils of adulthood. Like his casual demeanor the day we met over coffee and bagels, his calming presence, musical abilities and eloquent writing transcend frivolous and trivial concerns, taking the listener to higher ground. As the album winds to the last tune, “Goodbye,” we emotionally disembark the MS Long Play with less mental baggage than we carried onboard. The world feels lighter, realizing the musical journey’s ending signifies something we’re all entitled to: a new beginning. This musical sojourn is available for purchase on iTunes. The public is also invited to attend The Wealthy West’s CD release party at Tellers on Feb. 12, 2016. Listen to an early Austinot podcast episode with Brandon Kinder and The Rocketboys. Which local musical artist do you relate to most?